Most of countries in the arena widely talked about this so much valuable topic among them good governance is a very needy concept in order to establish everywhere peace and justice. sri Lanka wherein many political and social related organization had in touched with good governance process. 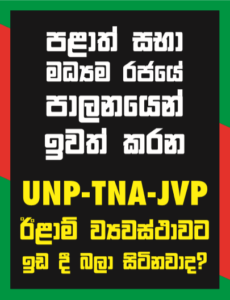 currently people have chosen this ruling government as their majority wish to governing the citizens so that in this government has the main responsibility in creating due mechanism for the helping the people who need the peace in sri Lanka.